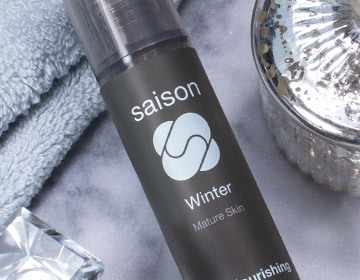 Home » Beauty Bonus Tips » Dehydrated Skin? Or Is Your Skin Dry? Dehydrated Skin? Or Is Your Skin Dry? As the weather heats up, it’s just as important to keep your skin hydrated on the outside, as it is to stay hydrated on the inside. 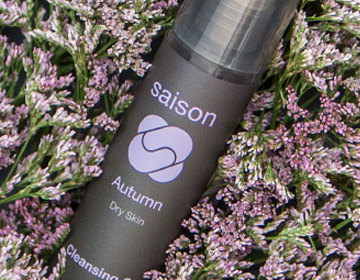 The first step is to assess if your skin is “dry” or just “dehydrated.” The difference between dry and dehydrated skin, is that dry skin is lacking oil, while dehydrated skin is lacking moisture. And yes, even oily skin can get dehydrated. A good test is to see how your skin feels after you wash it. If it’s tight at first, but oily within a few hours, then it’s dehydrated. If it’s tight throughout the day, then it is dry. It’s important to clearly identify your skin issues, especially this time of year, to be able to treat it properly. For example, if your skin is dehydrated, but you reach for a rich, thick cream, this may trap excess sweat and oil, and it will lead to increased clogged pores and acne. Or, if your skin is dehydrated, you don’t want to just splash plain water on your face, because when it evaporates it takes additional moisture with it, leaving your skin even more dehydrated. Look for products rich with humectants, like glycerine, which will hold and draw moisture into the skin, instead of just evaporating. 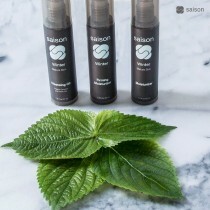 After washing your face, mist the Saison Botanical Lotion Spray over your face to fortify your skin with antioxidant-rich botanicals; and while your face is still slightly damp, then apply your face oils or moisturizer to lock in the moisture. 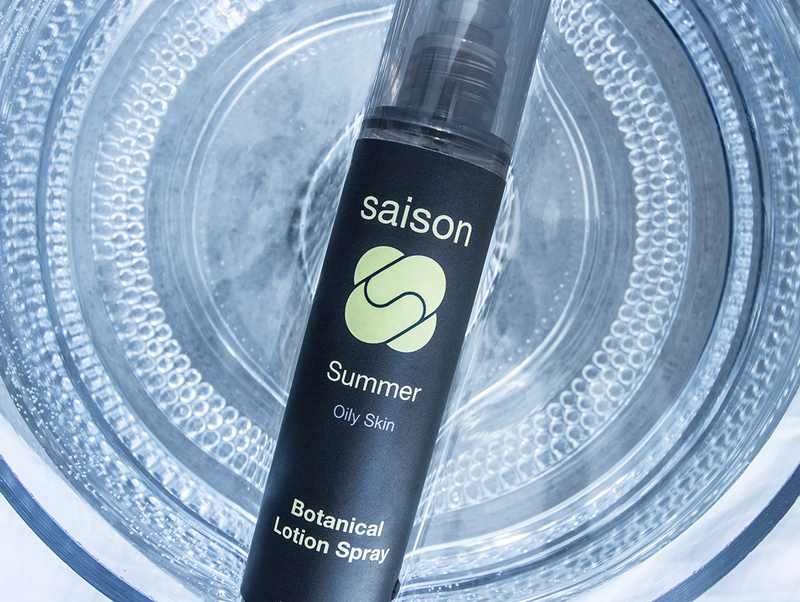 Throughout the day, gently blot excess oil off your face and then spritz the Saison Botanical Lotion Spray over your face to rehydrate your skin and refresh your makeup. For extra hot days, keep the Lotion Spray in the refrigerator and once it’s cooled, mist it over your face for a cool pick-me-up. If your make up has a tendency to slip off on hot sweaty days, try this makeup setting trick. First, apply your makeup as usual and lightly dust your face with a translucent or SPF mineral powder. 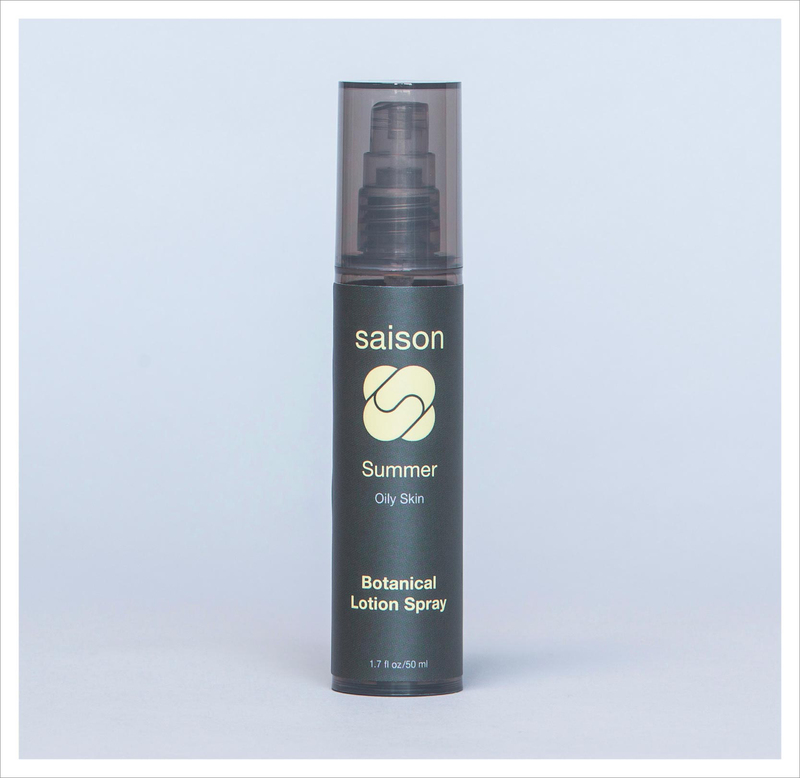 Next, sprtiz your face with the Saison Botanical Lotion Spray, and gentle place a tissue over your face and pat lightly. 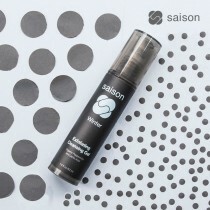 This will set your makeup and will create a fresh dewy finish. 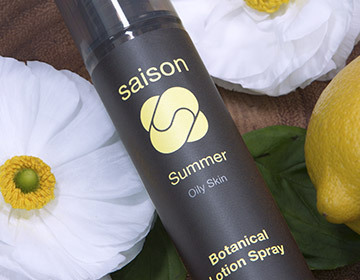 Enjoy your gorgeous, glowing summer skin!